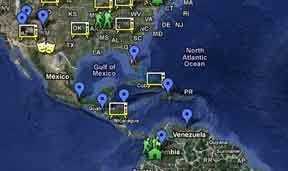 We are working on setting up an interactive map for the Waves of Change Project. This will be a page embedded in the new Deep Dish site which is now being redesigned. We have over 300 potential posts of video, audio files and graphics which will be an on-going Waves of Change project. Meanwhile we are posting a few samples of our material to this Google map. This is the link to the test site: http://maps.google.com/maps/ms?ie=UTF&msa=0&msid=109520517858965396132.00048838d78b7d003adb8 If you have comments or suggestions, please comment below or write deedeehalleck at gmail or nicole.hummel at gmail and let us know how to make it better.